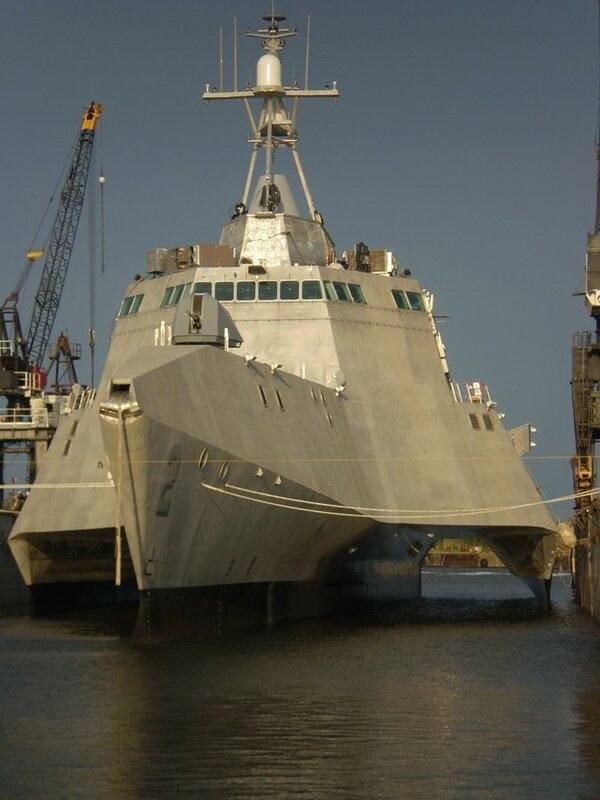 The Navy is rolling out it’s new littoral combat ship, the U.S.S. Independence. The 127 meter long trimaran hull will pull 60 knots (that the Navy will admit publicly to), with a crew of 40. In addition to the advanced sensor package, it carries a configurable mix of guns, missiles and helicopters. It can even carry Strykers and Humvees to put ashore after it softens things up with missiles and it’s Bofors 57mm gun.